It’s the tail-end of dusk in Devon and silence is broken. Thundering down the twisting A382 from Exeter to Chagford, an ancient tin-mining town set on the upper reaches of southern England’s most rugged terrain, Dartmoor, the Aston Martin darts into a private road. Its V12 echoes through a dark tunnel of trees, then skimming by millimeters the edges of a stone bridge as the supercar winds its way up to Gidleigh Park. 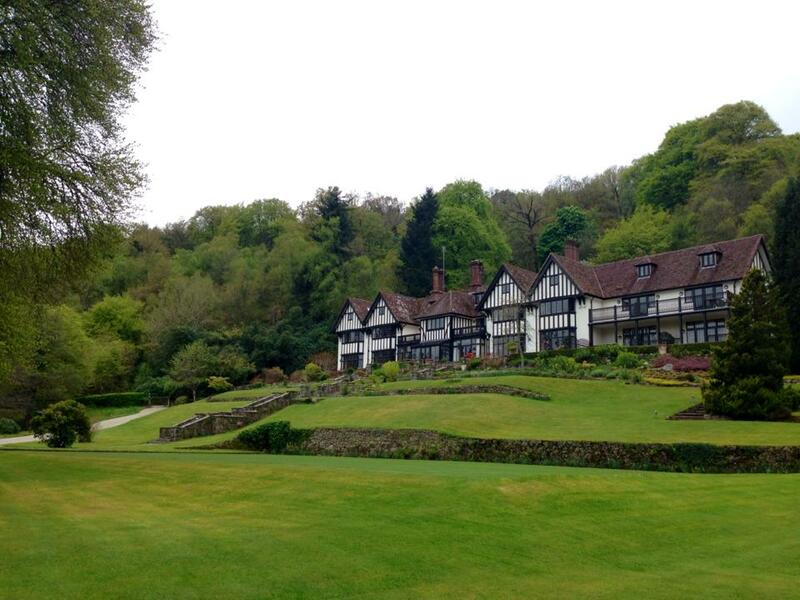 A Tudor-style Edwardian manor, it comes as a surprise after such wild countryside to find Gidleigh Park nestling in manicured grounds, surrounded by woodland and set on the banks of the North Teign River. 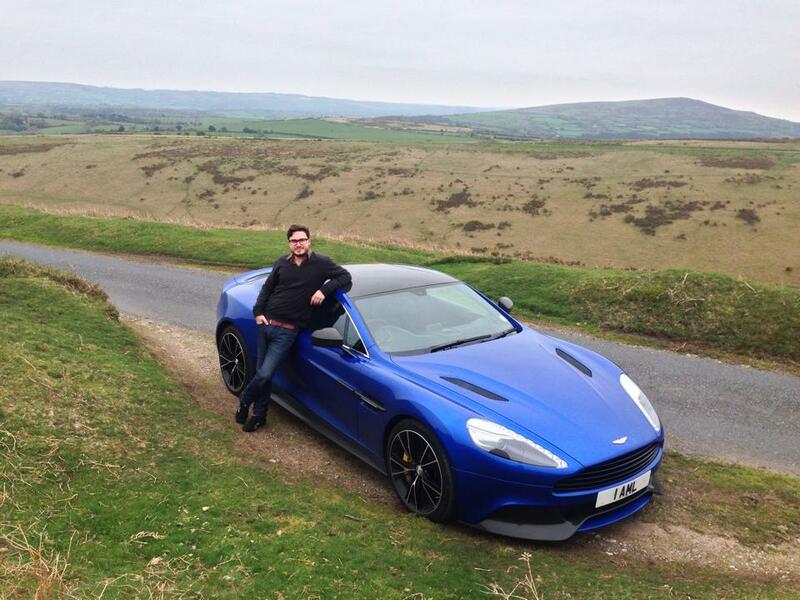 Like the Aston Martin Vanquish in which we arrive, Gidleigh represents Blighty at its most picture perfect. On the outside, it has beauty, character and heritage and, inside, luxury. Under the skin there’s attention to detail in the form of the hotel’s exquisite service, and talent and innovation in the form of Michael Caines MBE’s celebrated cuisine, which applies modern and cosmopolitan techniques to typically British dishes and their locally-sourced ingredients. Likewise, in its hundred-year history, Aston Martin has stood for style, substance and stout. The raw hills in the distance represent the power of that illustrious twelve-cylinder, the bark from its twin exhaust sending chills up the spine just like the moor’s unforgiving tempests. I’d picked the right wheels, then, to take me to Caines’ dining table and the Vanquish receives a glowing reception from the chef. Michael is a petrolhead, who I had previously met on the Formula One circuit where he conducts cooking cameos with the Williams team, usually at Silverstone and Monaco, and oversees its menus at every race. He has a black 911 Turbo for the thrilling commute to Gidleigh, and a Porsche GT3 on order. 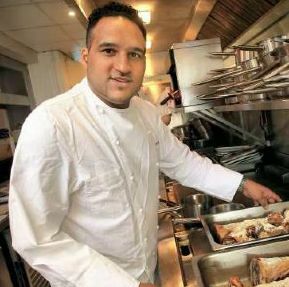 The fact that his right arm is prosthetic – lost in a car accident 20 years ago – hints at the man’s astounding determination to rise to the very top, with two Michelin stars along the way. We opt for the signature menu: Yellow fin tuna tartare served with flavours that seem to pop out from everywhere; scallops, lime, Oscietra caviar, soused turnip and beetroot, and wasabi cream. That was just the first of eight courses, and my taste buds are limbered up. Foie gras terrine; Salt cod with crab, chorizo and samphire that tastes like a sea breeze; Duckling with all the roast trimmings; Beef fillet and cheek straight from a beast of the moor; flavorsome cheeses from across the westcountry; succulent apple mousse with apple jelly and sorbet; and a lime and butterscotch banana parfait to end. Well, when you’ve got Aston Martin’s range-topper for a bank holiday weekend it’s not just the car that deserves premium fuel. Having made a small dent in the cellar’s 13,000 bottles it was time to retire to a cosy bedroom in the manor’s roof and plot the driving route across the moor for the morning, stopping off for walks between Tors – rocky outcrops that are over 100,000 years old. The Vanquish burbled down tight country lanes, having to reverse for more than one startled tractor, and flew across the moor’s dividing b-roads, overtaking packs of weekend cyclists. 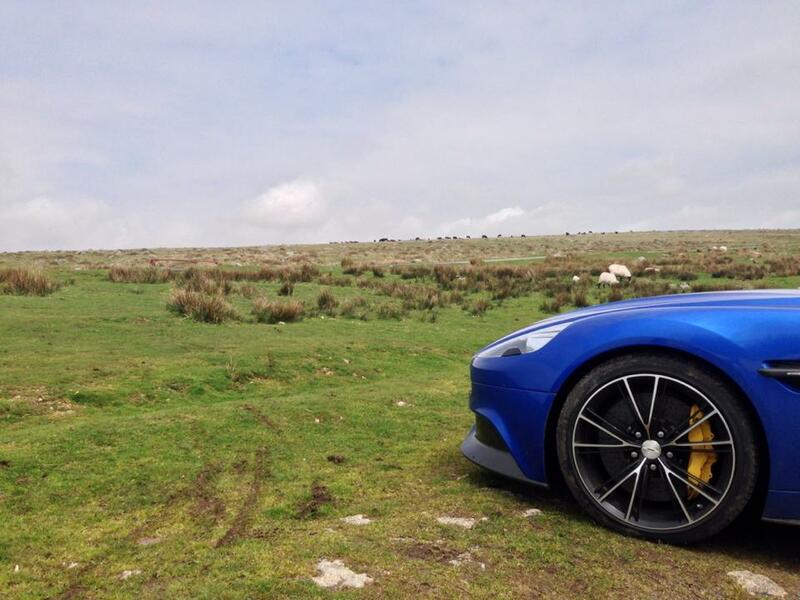 The roads are joyous, but you’re always covering the brake for sheep and ponies. Passing the perimeter wall of the notorious Dartmoor Prison, an Aston would surely be the dream getaway car for a 1960s gangster escape plot. Parked above Princetown in view of that Dickensian fortress, wellies replacing driving shoes, I trudge around the car, taking in its shape for the first time in proper daylight. I think there’s a strong case for Astons being the most handsome cars on the road today. Musicians lament that all the best melodies are used up, but Aston Martin is the Paul McCartney of car design and will bash out its greatest hits to screaming audiences nightly. If you own an Aston Martin, the highway is your Shea Stadium. The Vanquish takes cues, as do all its family members, from those iconic DBs from the 60s but it’s actually the One-77 (a £1,150,000 hypercar of which just 77 were produced in 2009, and which was justly awarded the Concorso d’Eleganza design award for concept cars and prototypes) which is the main influence. In the Vanquish, we have a meeting of the One-77 and the DB9, the more expensive car’s lines seen cutting into the Vanquish’s flank and similar lights at the rear. It is devastatingly attractive from every angle, a well-judged fusion of brawn and elegance, modernity and tradition. One criticism, and I’m not the only motoring journalist to have voiced it, is that Aston’s styling progression since the DB9 (which is now ten years old) has evolved too slowly. A decade on, is this new super GT bold enough? Perhaps it doesn’t sting the eyes and singe the heart the same way the more brazen Ferrari F12 does. Then again, just like one of Michael Caines’ dishes, you don’t want to spoil the delicate balance of flavours by adding an extra ingredient or taking something away. It would be a brave move to start with a clean sheet of paper – as they did with the last generation Vanquish in 2001. Steinway pianos haven’t changed much in their history, and is there a more beautiful instrument? Rolex don’t feel the need to update the Submariner. Astons have always aged gracefully, and the current line-up is no different. I’m in love with my car’s Cobalt Blue, which makes it stand out from the usual Aston colours of silver, grey, black, navy, and green, but isn’t in any way brash. It also highlights the Vanquish’s black carbon fibre accoutrements. Indeed, what is under the paintwork is carbon also, to the benefit of its weight and handling. That goes some way to explaining its £190,000 price tag. The interior choices on this car come from what might be described as the Premiership Footballers’ option list, for it is not entirely to my taste. Here we have a largely black hide interior (lovely) with yellow stitching that matches the brake calipers (I’m fine with that), yellow piping (hmm) and bright blue inserts in the seats and headrests that resemble leather bubble-wrap (pass). The facia is faultless, the optional squared-off steering wheel (lifted from the One-77) is inelegant but functional, and the silver dials spidery and discrete. Well, as discrete as a speedo that goes up to (a rather fanciful) 240mph can be. Good job there’s a digital read-out or else you would never know how fast you were going within legal limits. The rear seats could barely accommodate the smallest of small children. They could accommodate a brace of canopic jars, though, should you wish to be buried with your pride and joy. There is no champagne cooler, my co-driver was disappointed to find, but I did discover the gap between the passenger seat and the sill is the perfect shape to snugly fit a standard-size bottle of fizz. The Vanquish’s key reminds me of the ‘Solex Agitator’, a solar energy device Roger Moore is tasked with hunting down in The Man With The Golden Gun. At one end is a glass top with the ‘scarab wing’ logo inside. You push the fob all the way into the dashboard, the glass logo pulses red and all hell breaks loose. Just like the Solex Agitator, you see. This car comes with one of the company’s longest-serving personalized plates: 1 AML. It stands for Aston Martin Lagonda and, when stopping in Exeter for fuel, a man of around 50 got very excited claiming he had seen that very same plate in a car magazine in 1980. It was probably cut out and stuck on his teenage bedroom wall. How on earth had I got hold of it, he wondered. This is an incredibly usable supercar, with perfectly weighted steering, sublime ride, and a soundtrack lifted straight from Tchaikovsky. 565bhp ensures traffic is nothing more than a mobile chicane, though I was surprised it doesn’t have more low-down torque. You need to wind the engine up to high revs before it’ll pounce like it should. Fuel economy isn’t embarrassing for this size of engine, and I averaged 17mpg. The carbon-ceramic brakes ensure that when you punch the stop pedal you actually go back in time. The following night’s lodgings are to be found on Bodmin Moor, at Jamaica Inn. It’s said to be one of the most haunted places in the UK. It was also the hideaway for a large portion of the rum that entered the country illegally in the early 19th century, hence the exotic name. The Aston, so well adapted to these moorland roads, is the ideal partner for a trip that re-imagines English rogues, mavericks and salty risk-takers. Perhaps its most common stomping ground, though, is likely to be South Kensington and it’s there that I return from my westcountry mission. Approaching a handsome dark grey Ferrari F12 at a set of traffic lights on the Brompton Road, I note the personalized plate with faint recognition. Sure enough, it’s Hugh Grant at the wheel. There’s a mutual nod of acknowledgement and a nervous one-sided smile, as if to say: Are we really going to be so immature as to lay down rubber in a manhood measuring contest? I think the better of it. I have driven the F12 and I remember the way it throws your head back under acceleration like no other road car I’ve experienced. Despite being a direct rival to the Vanquish – both front-engined V12s – the Italian trumps it by 165bhp. So I’ll let Hugh have this one. The Aston is quick, no doubt about that, but it doesn’t feel supercar quick. It’s gorgeous, but it’s not Lamborghini jaw-dropping. However for some reason, of all the dribble-inducing cars I’ve driven, it was the hardest to give back. I think that’s because it’s the only 200 grand car I can imagine living with. And that’s because everyone likes it. How much abuse does Hugh Grant get in his F12, I wonder.